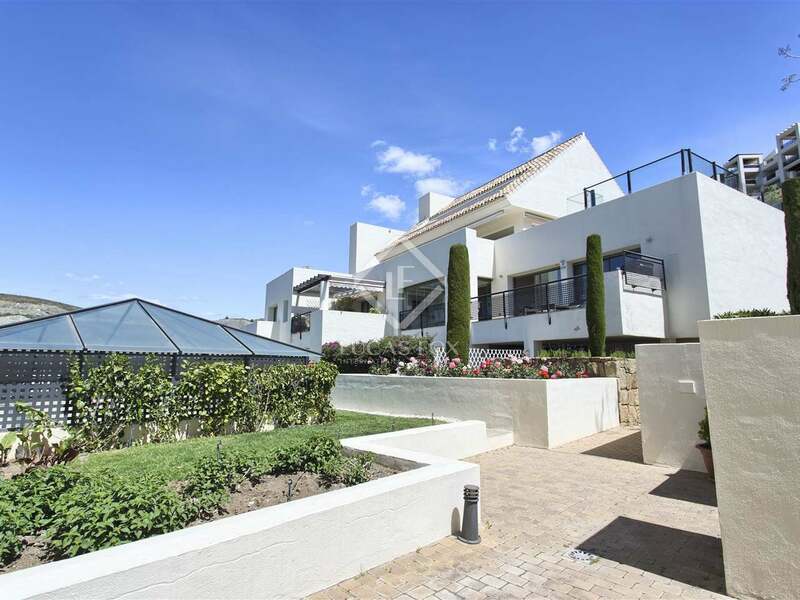 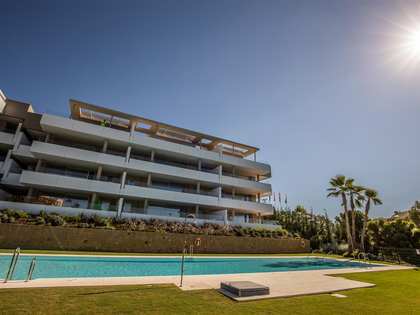 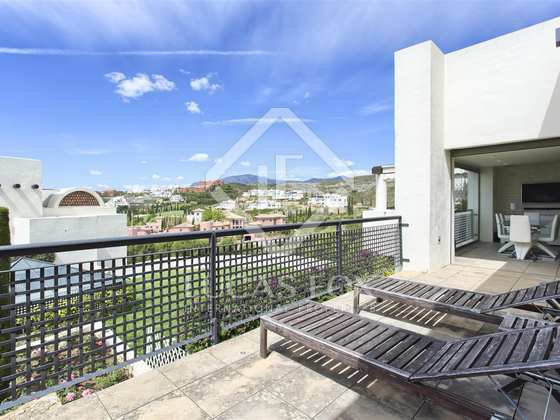 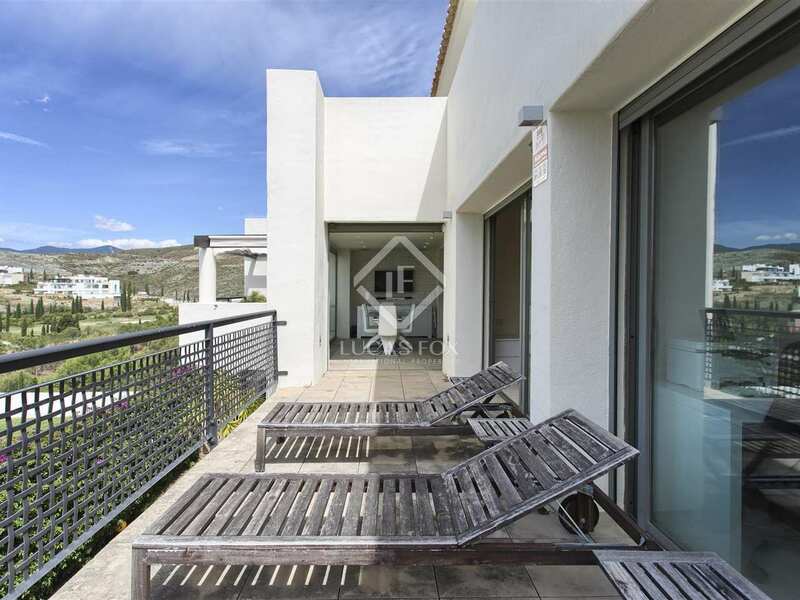 Impeccable modern apartment with golf views and a beautiful communal garden and pool, for sale in a gated community in Los Flamingos, Benahavis. 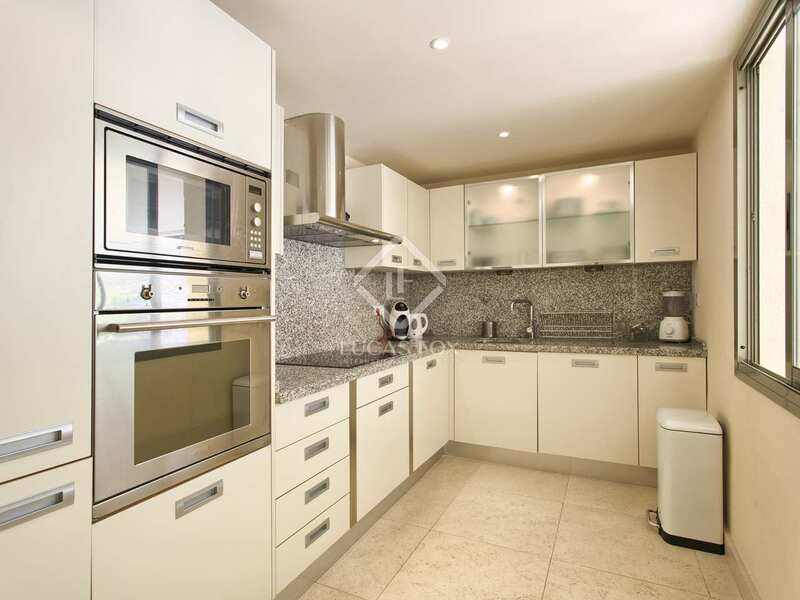 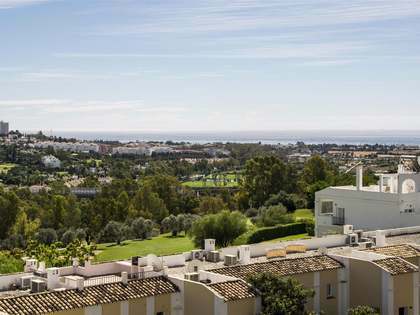 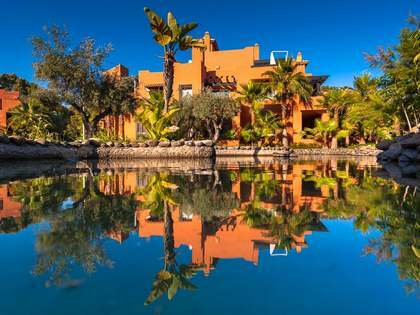 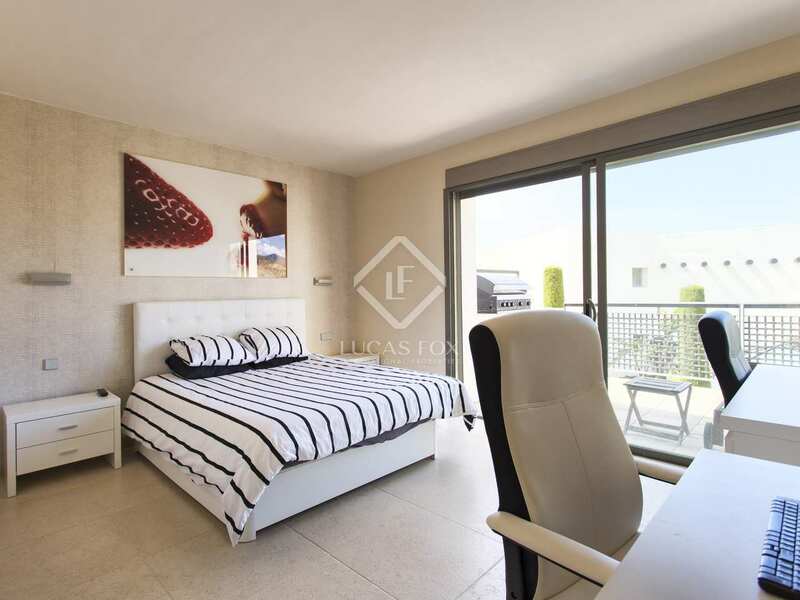 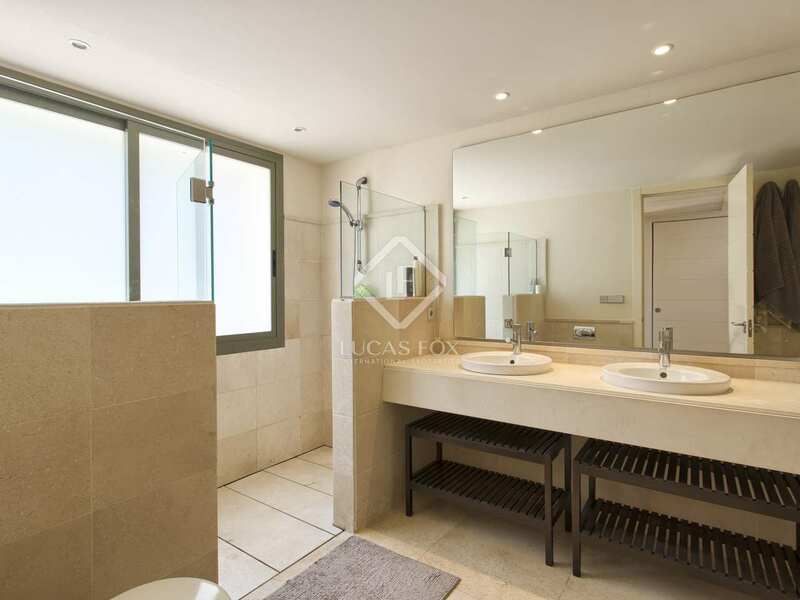 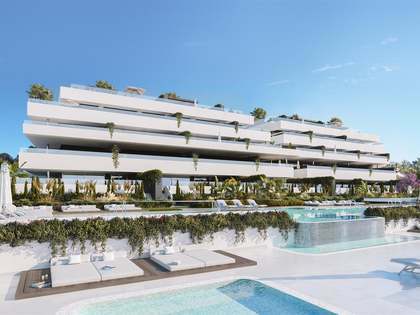 This spacious, luxury apartment is located on the first floor of a south to south-west facing building in a gated residential complex with 24-hour security, in the Los Flamingos golf resort, in Benahavis, just 10 minutes from the beach. 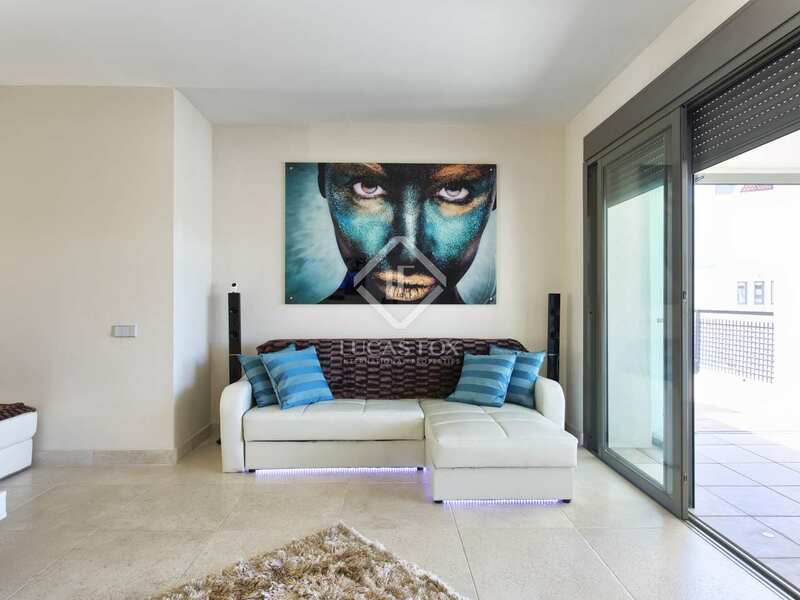 This contemporary style property, built in 2005, enjoys views of the golf course and the 5* hotel Villa Padierna. 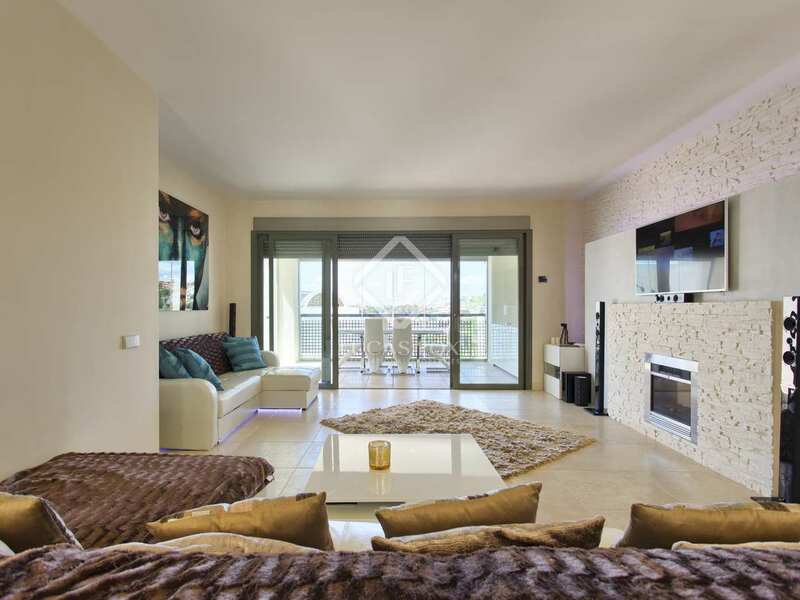 It has a large, bright living and dining area with a fireplace, a fully fitted kitchen, guest toilet, master bedroom suite and one guest bedroom suite. 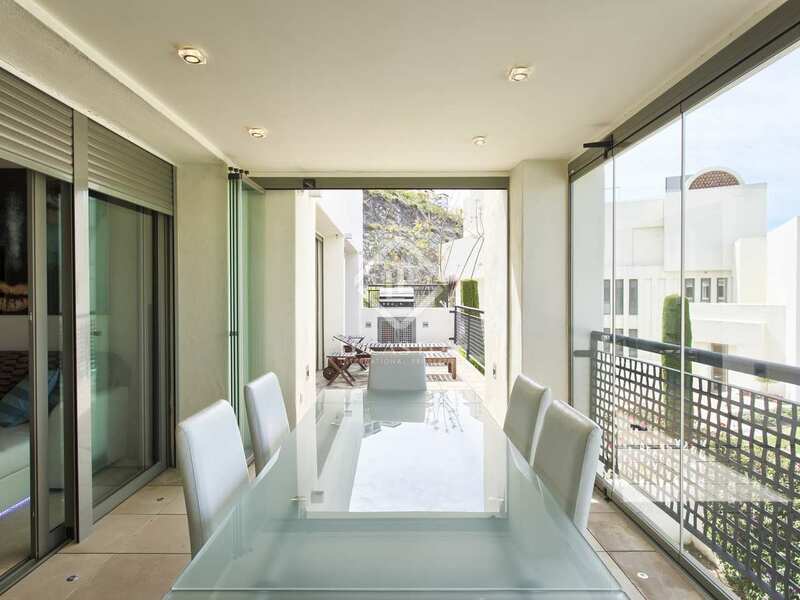 From the property we can enjoy direct access to a covered terrace with glass curtains and an open terrace for sunbathing. 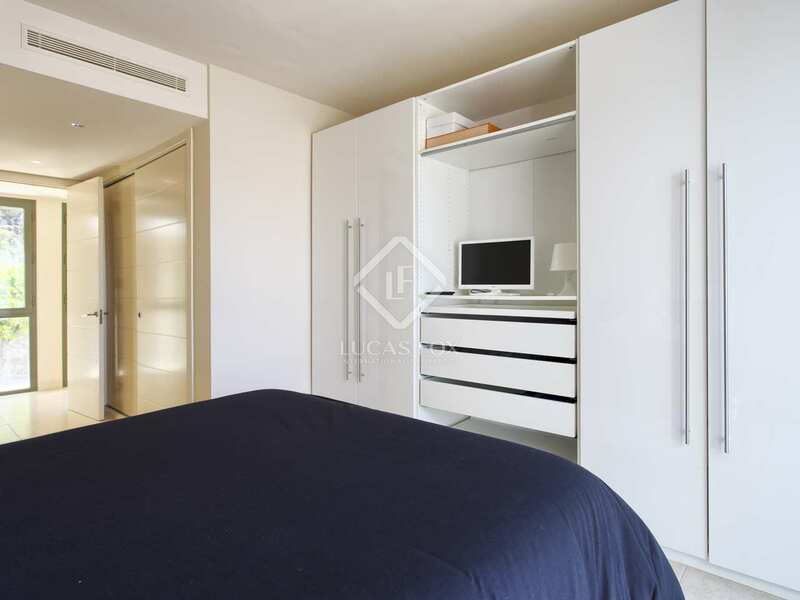 A garage parking space and a storage unit come included in the price. 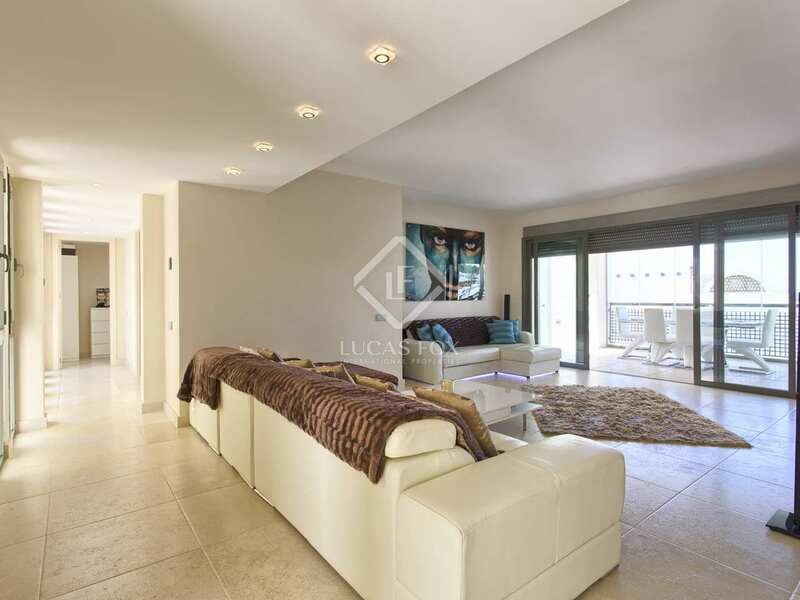 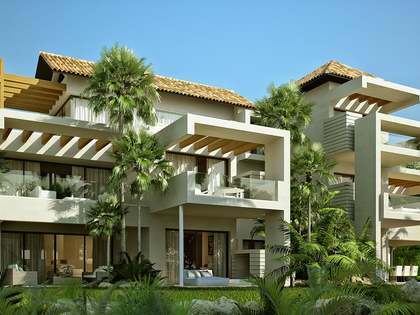 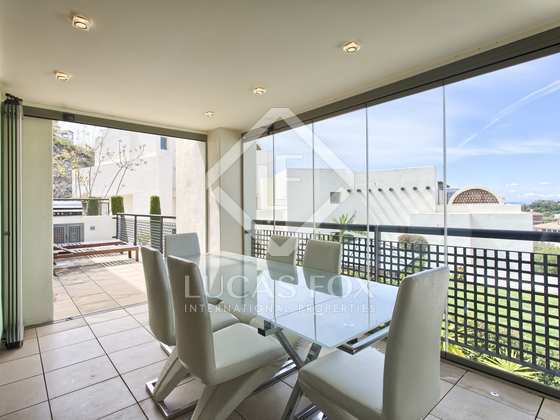 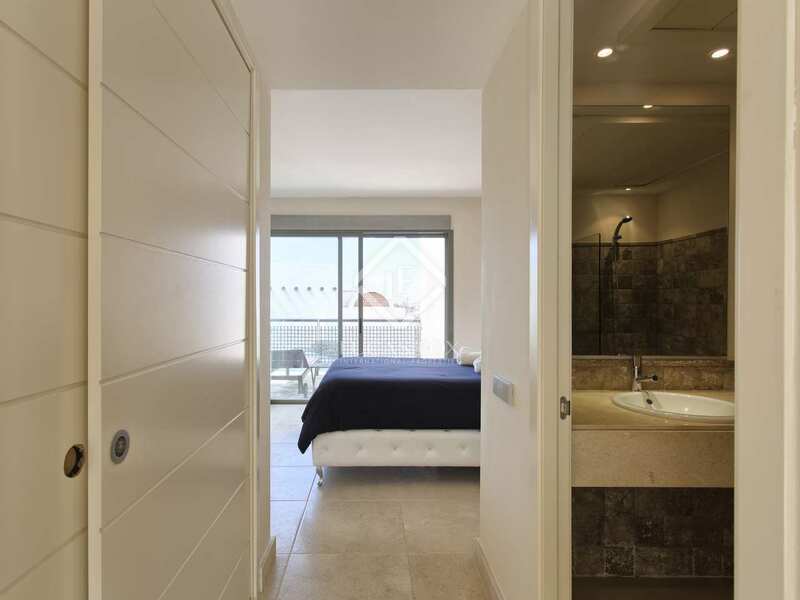 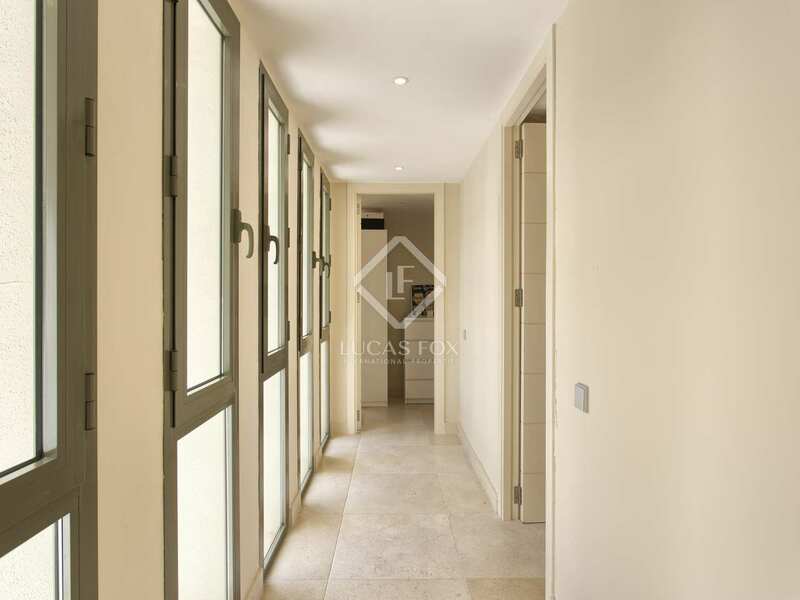 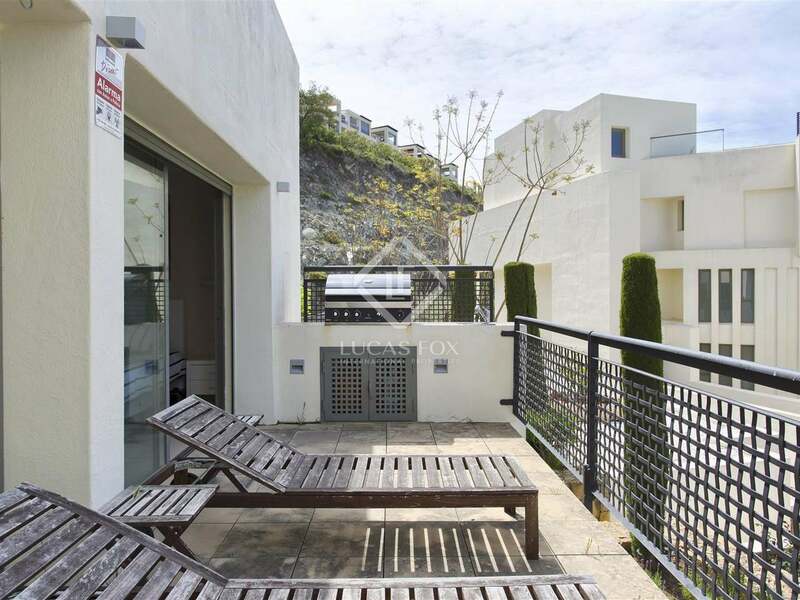 Additional features of this high-end property include the home automation system, air conditioning, underfloor heating in the bathrooms and marble floors. 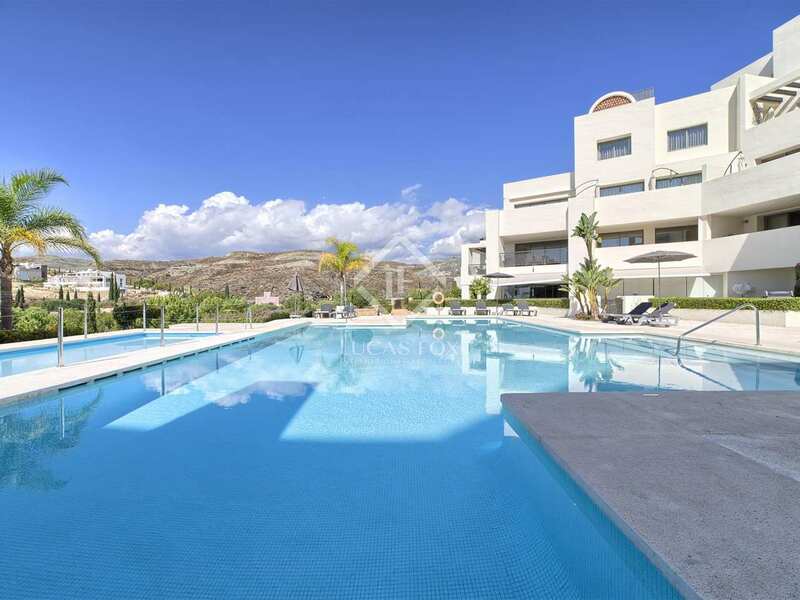 Outside we find a fabulous communal garden with a large swimming pool and a barbecue area for residents' enjoyment. The property has been very well looked after and would make an ideal holiday home. 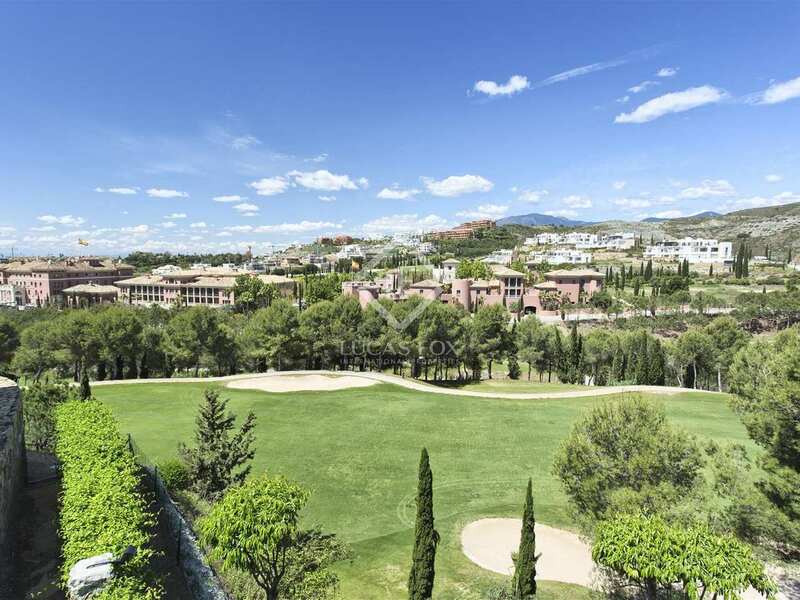 This property enjoys an excellent location in a reputable residential complex in the Los Flamingos golf resort, in Benahavis, just 10 minutes from the beach.